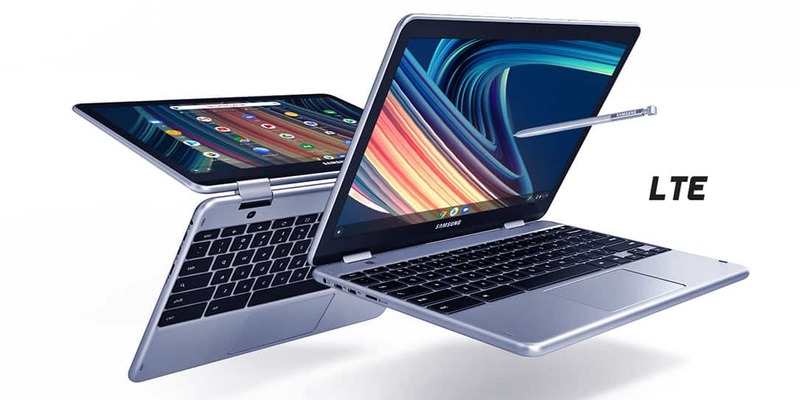 The Samsung Chromebook Plus (LTE) is targeted to users who rely on internet-based apps and services to stream music and videos and for day-to-day tasks. If you’ve been waiting on the Samsung Chromebook Plus (LTE) and the Samsung Galaxy Book2 in the United States, there’s no need to wait any longer as Samsung has announced their availability in the states. Both the Samsung Chromebook Plus (LTE) and the Galaxy Book2 are “always-connected” mobile PCs. These are designed for those who need data connectivity everywhere and anywhere they may roam. Not everyone needs to be connected constantly but for professionals who need to get work done on the go, these should fit them well. You can use these anywhere you get an LTE signal, trains, cabs, Ubers, coffee shops, just about anywhere. 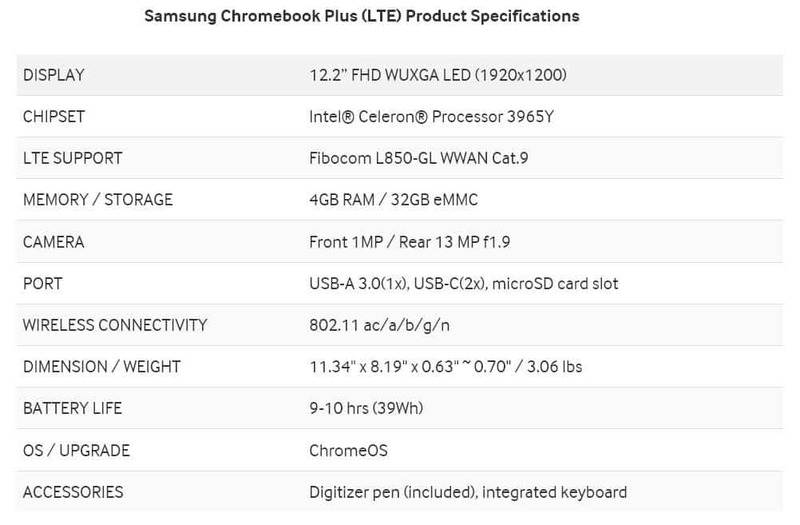 The Samsung Chromebook Plus (LTE) is targeted to users who rely on internet-based apps and services to stream music and videos and for day-to-day tasks. It has an Intel Celeron processor, a built-in pen that never needs to be charged. It’s also 360 degrees capable, allowing you to use it as a tablet or presentation machine. The Samsung Galalxy Book2 is targeted at Windows users who want to be mobile. It runs Windows on a Qualcomm Snapdragon 850 which Samsung says is speedy and responsive. Samsung claims “multi-workday” battery life lasting up to 20-hours. 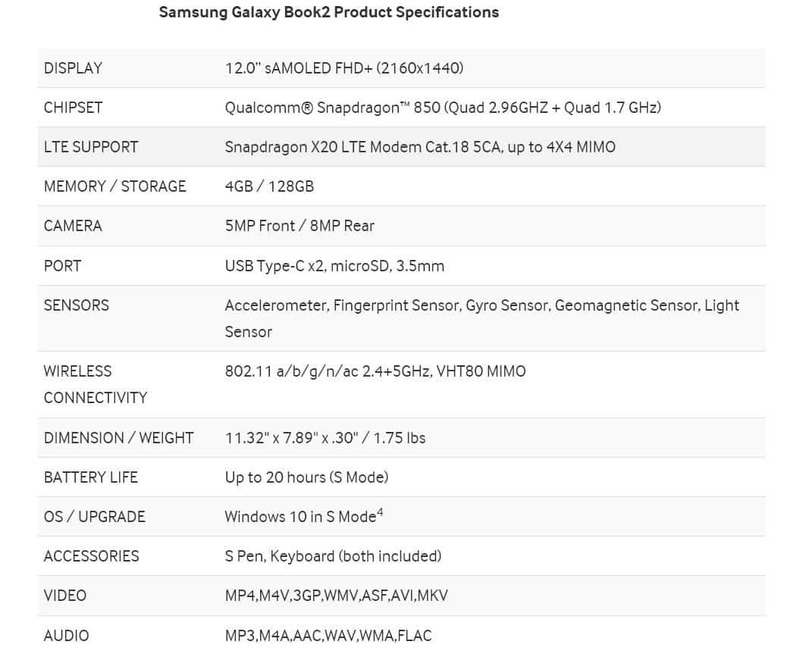 The Book2 comes with a keyboard and S Pen and the display is AMOLED. The Samsung Chromebook Plus (LTE) is now available for $599.99USD at Best Buy, Samsung.com, and Verizon. 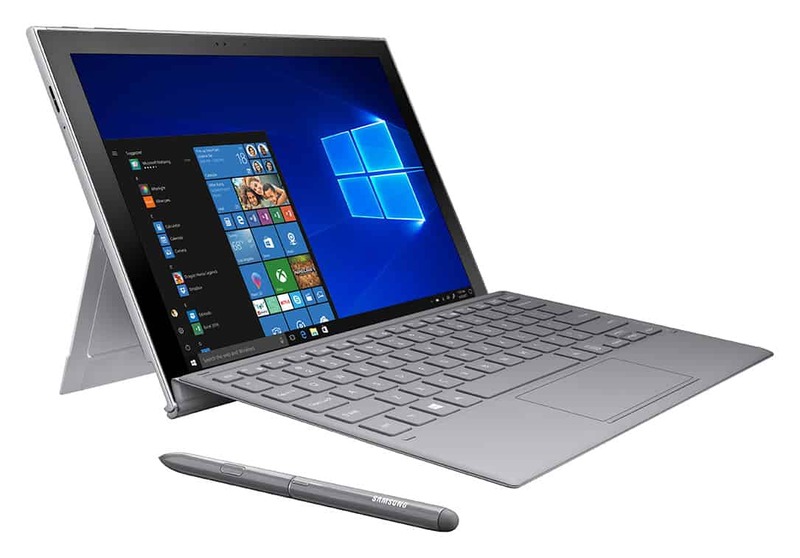 The Samsung Galaxy Book2 is also available starting today at AT&T, Microsoft.com, and Samsung.com for $999.99USD. It will be available at Sprint and Verizon later this month.